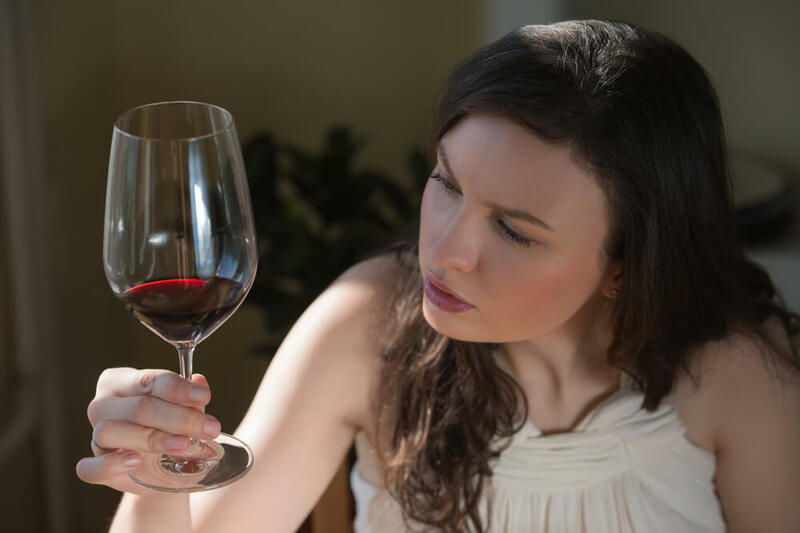 By now, many of us have heard rumors about the ways in which drinking wine can improve health. Well, wine drinkers, rest assured, these are no longer rumors. In fact, the American Heart Association recommends drinking one to two four ounce glasses a day to take advantage of the health benefits wine has to offer. Here is how you can benefit by drinking wine daily. Wine drinkers may live longer than those who drink beer or other spirits. A Finnish study, which was published in the Journals of Gerontology, 2007, researched 2,468 men over a 29 year period. It was proven that the wine drinkers had a 34 percent lower mortality rate than those who chose other alcoholic beverages. Free radicals cause the oxidation process in our bodies which leads to cell damage. Antioxidants combat these free radicals preventing or stopping the cell damage process. Wine is full of antioxidants and can be compared to cinnamon, blueberries and pomegranate juice in this respect. Heart Attack: A 16-year study from Harvard School of Public Healthy showed moderate drinkers suffering from high blood pressure are 30% less likely to have a heart attack than non-drinkers. The study was documented in the Annals of Internal Medicine, 2007. Heart Disease: The tannins in red wine contain polyphenols called procyanidins which protect against heart disease. This was proven in a study at Queen Mary University in London. Wines from Sardinia and southwest France are more plentiful in procyanidins than other wines. Type 2 Diabetes: According to the American Diabetes Association, drinking red wine can lower blood sugar for 24 hours. A study done at Amsterdam’s VU University Medical Center showed that moderate drinkers have 30% less risk that nondrinkers of developing type 2 diabetes. Cataracts: The Reykjavik Eye Study was a five year population study that included 1,379 people and looked into the effects of alcohol consumption on cataract development. The studies proved that moderate drinkers have 50% of the risk of cataracts as compared to that of nondrinkers or heavy drinkers. Colon Cancer: The risk of colon cancer is also reduced for those who drink wine in moderation. A Stony Brook University study of 2,291 people proved that the risk of colon cancer was reduced by 45% in those who drank a bit of wine every day (especially red). Fermented foods can benefit your digestive system, and fermented drinks can as well! They contain beneficial enzymes, B vitamins, omega-3 fatty acids and various strains of probiotics, all of which are essential to digestive health. Wine has many mental benefits as well. It encourages you to sit down and relax and take in your surroundings while heightening and enhancing the taste sensation. For those who are wine enthusiasts, a trip to wine country can teach you about the process of making wine including the farm to table experience and sustainability. For years, wine has been a symbol of revelry, creativity and celebration. Are you a wine drinker? Do you find wine to benefit your health, and, if so, how?